The general 4Humanities initiative (http://humanistica.ualberta.ca/) includes scholars, students, and others engaged in advocacy for the humanities in the U.S., U.K., Canada, Australia, Italy, Greece, Mexico, and India (current locations). It provides an online platform for humanities advocacy that reports about, publishes, and creates materials addressing the value of the humanities in society. Materials include: advocacy statements, “student voices,” showcase examples of humanities research, news about the crisis of the humanities in society, accessible scholarship on the state of the humanities, and monthly bilingual reports about the humanities from graduate-student or early-career “international correspondents” around the world. A recent new project is “Humanities, Plain & Simple,” an initiative soliciting short, accessible statements about the humanities (including from well-known people in society). We also want to build exhibitions of publicly-oriented humanities research, multimedia and social networking projects (e.g., videos for the humanities), and other creative/thoughtful projects. In addition — as indicated by its motto, “Powered by the Digital Humanities Community” — 4Humanities is supported by the international digital humanities community (including the Alliance of Digital Humanities Organizations and the CenterNet network of digital humanities centers). 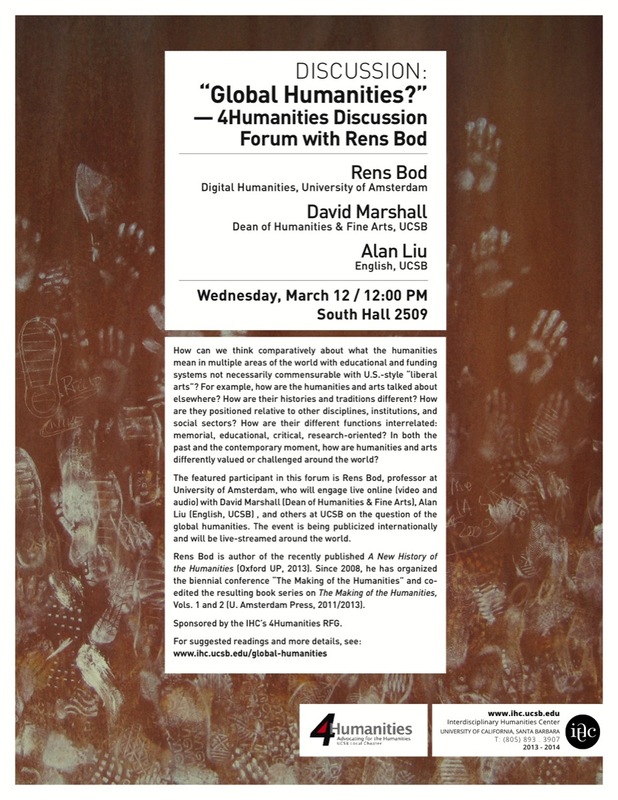 The premise is that digital new media today have a special role to play in effective humanities advocacy. 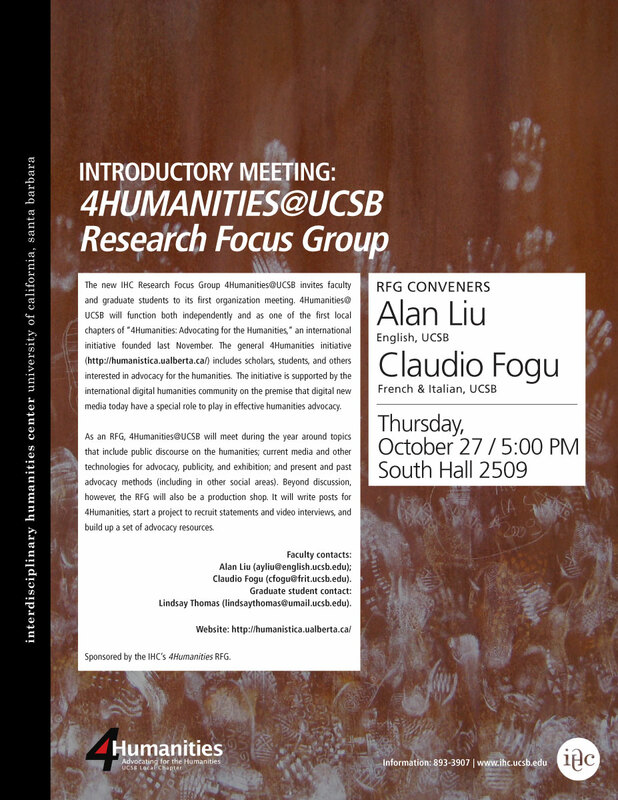 As a local IHC Research Focus Group, 4Humanities@UCSB will meet periodically during the year around a few topics and readings–e.g., public discourse on the humanities; current media and other technologies for advocacy, publicity, and exhibition; present and past advocacy methods (including in other social areas), etc. 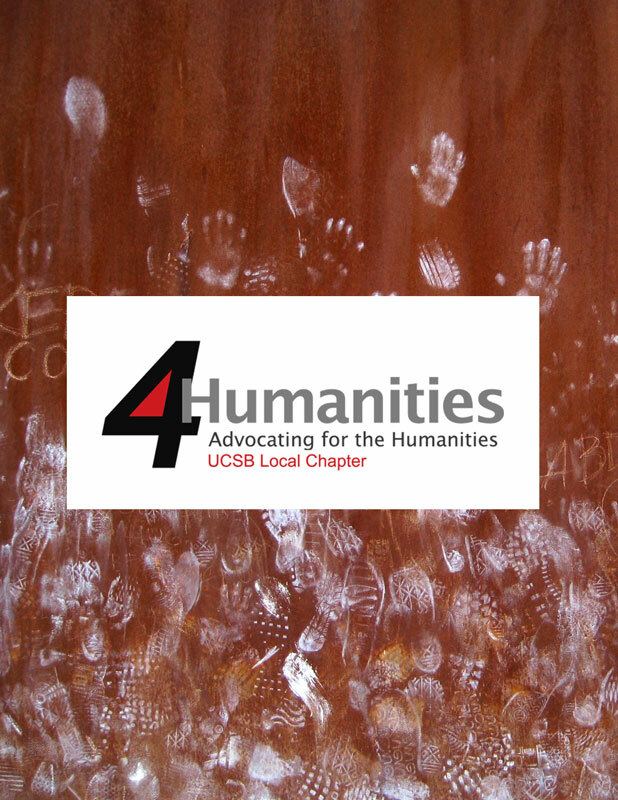 Beyond “discussion”-style activity, however, 4Humanities@UCSB will also have a practical production component–e.g., writing posts for 4Humanities, starting a project to recruit statements and video interviews, building up a set of resources (bibliographies, tools, case studies, etc.). The group will also link up with local chapters of 4Humanities now forming at other universities. 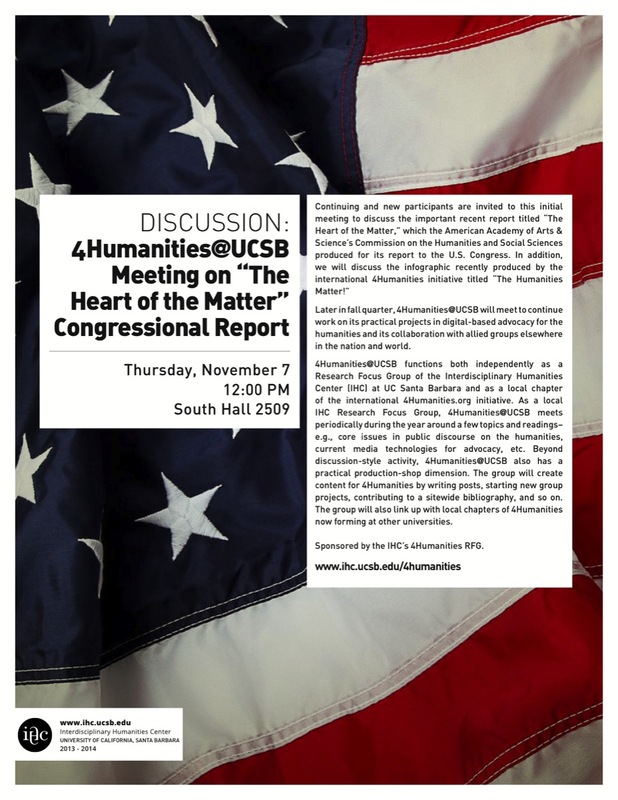 4Humanities@UCSB Research Focus Group's Meeting on "Core Issues in Public Discourse on the Humanities"